All people in Pittsfield experience a just, thriving and safe community. On Friday, December 11th the Berkshire United Way, Family Resource Center and Working Cities Pittsfield Team hosted a day of learning and discussion about Berkshire Bridges. This vision for our community was inspired by the Schenectady Bridges team just over the border in Schenectady, New York. Over the last nine years, Schenectady Bridges has helped improve the lives of thousands of under resourced residents with leadership training, employer resource connections and more, all based on the Bridges Out of Poverty framework. Nate from Schenectady Bridges speaks with the Working Cities Pittsfield Team. A morning session for Pittsfield employers to learn about the Employee Resource Network, and how it will strengthen their company and workforce. Hosted at Berkshire Hills Country Club with over 35 employers in attendance! A lunch session with Working Cities Pittsfield Team partners about how organizations embed Bridges Out of Poverty into their staff, and collaborate better as human service providers. An afternoon session with nearly 40 attendees from the community to learn about the core principles of Bridges Out of Poverty and how it works in daily life. Nathan Mandsager and Schenectady Bridges are an excellent resource for us as we move toward implementing and embedding the Bridges philosophy and constructs in Pittsfield, and then throughout the Berkshires. Nathan gave us concrete examples such as the importance of providing monetary compensation to the under resourced participants who deliver the Bridges trainings throughout the community. My belief is that resource should be built into the Working Cities implementation grant we write. Nathan provided a fantastic presentation to the morning session of local employers. He discussed the connection between the Bridges Out of Poverty concepts in the workplace, and how the Employee Resource Network is building and supporting the economic vitality of the community and the employees who live and work there. 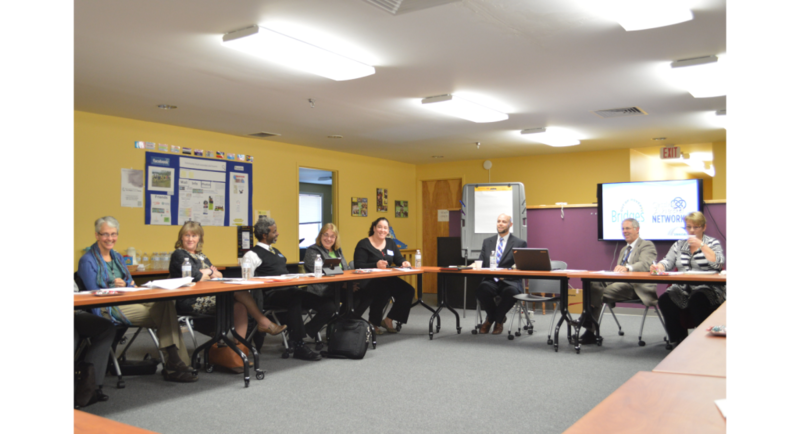 He provided much information to support the Berkshire United Way Workplace Resource Coordinator program; many employers are interested in signing on to the pilot currently in the works as a result of Nathan’s presentation. 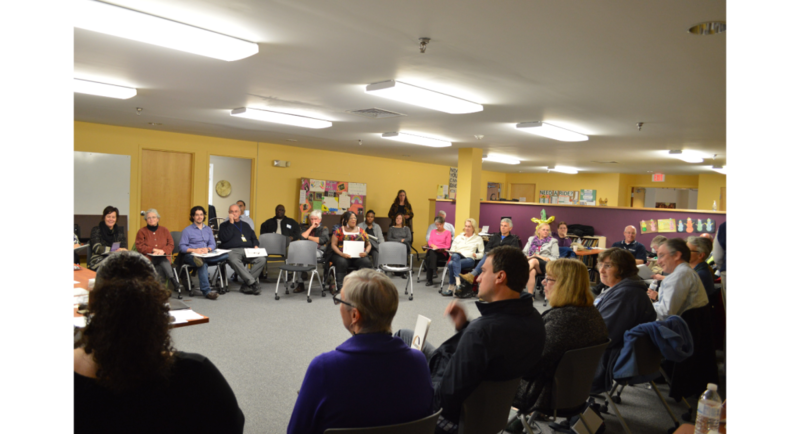 A crowd of nearly 40 joined us for the afternoon Berkshire Bridges discussion. Nate from Schenectady Bridges was articulate, engaging and provided inspiration for us in Pittsfield. We are striving to become a Berkshire Bridges community, so that all people in Pittsfield experience an equitable, thriving and safe community. If you’d like to learn more about Berkshire Bridges, the Working Cities Team, or would like to be part of these movement, please contact us! Welcome to the Working Cities Pittsfield website! 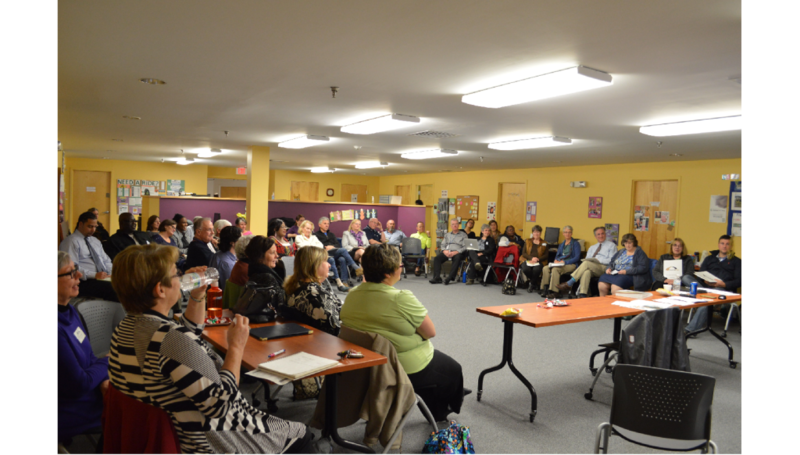 We envision that all people in Pittsfield experience an equitable, thriving and safe community. Will you join us? Please explore our website to learn more about Working Cities Pittsfield and how you can become involved today. Make sure to click the Events tab to join our upcoming community conversations! For any specific questions, you can Contact Us.